All successful relationships require effort from both sides, but this is particularly true for the tourism and hospitality industry. For example, a guest could be checking into a resort to celebrate an anniversary, or a group of friends could be celebrating a birthday in the hotel bar. Those guests will no doubt be sharing the special occasion on social media – which equates to their effort in this relationship. So how does the hotel repay its gratitude? Step forward Local Measure, an Australian technology start-up that is giving hoteliers more power to play their part and show their commitment. To date, it is working with hotels, including chains such as Accor, in more than 500 cities globally, and is working with hotels as well as theme park operators. It has 50 staff that are mostly based in Sydney, but the team also extends to the UK, Dubai, Singapore and Miami. Founder and chief executive Jonathan Barouch says the first stage is setting up a “geo-fence” around the property, and reassures me that Local Measure is only picking up data that is being made public. Then Local Measure’s “customer intelligence platform” is able to merge that geo-fenced social media and mobile technology to provide hotel staff – such as the general manager, front of house, or even chef – with live access to customer data, rich content and analytics at a local level. These frontline staff then have real-time information to help them to surprise guests, as well as detect and help resolve any problems or negative reviews before they impact the hotel’s reputation or performance. For example, images of the guest celebrating that birthday with champagne would be immediately picked up by the general manager, who then quickly reacts by popping by the bar with a surprise birthday cake or more champagne on the house. Meanwhile, guests that complain on Facebook that a particular menu needs changing or complain about service will have their comments detected by the chef or F&B manager so that they can look into any problems. “If you bother to engage with a client, they’ll engage with their peer group,” Barouch says, adding there has been a “massive blindspot” in this area recently. The company launched three years ago, and Barouch says there has been “significant growth” over the past 18 months. “Hotels are waking up to the fact that they’re losing relationships. Our tool helps that hotel deliver [customer service] one step further. Although the focus is about taking online interactions offline, the content can also be repurposed, plugged into a content management system and used on a company’s website to help drive bookings, for example – visitors get to witness authentic guest experiences. In a world that’s heading increasingly online, it’s reassuring to see a start-up focused on taking online interactions offline – and by doing so cement the guest relationship even further. What exactly are guests posting about? 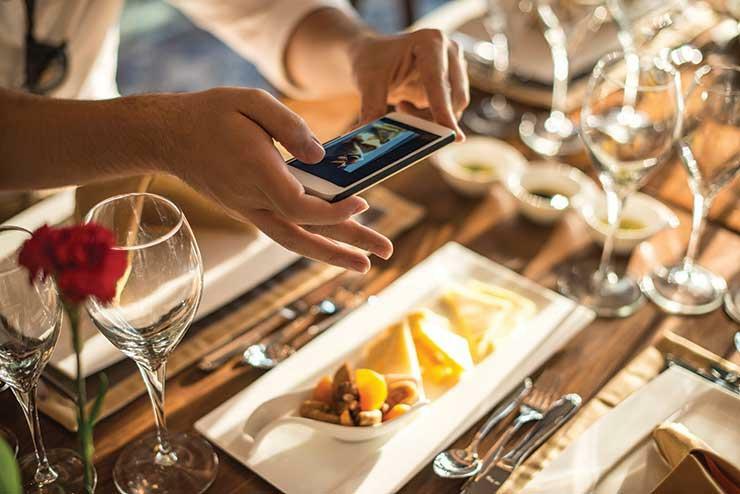 From a recent study of guest social media posts across 291 hotels in the US, Australia and Asia, from January 1 to March 1, 2017, Local Measure found the top subjects on Facebook, Twitter and Instagram. Hotel staff were mentioned 800 times; arrival at the hotel just 500 times; and the gym 300 times.